Of course, cars never reach their maximum-rated range, so I’ll estimate the Model 3 gets ~80% of 310 miles, so 240 miles on a full charge. 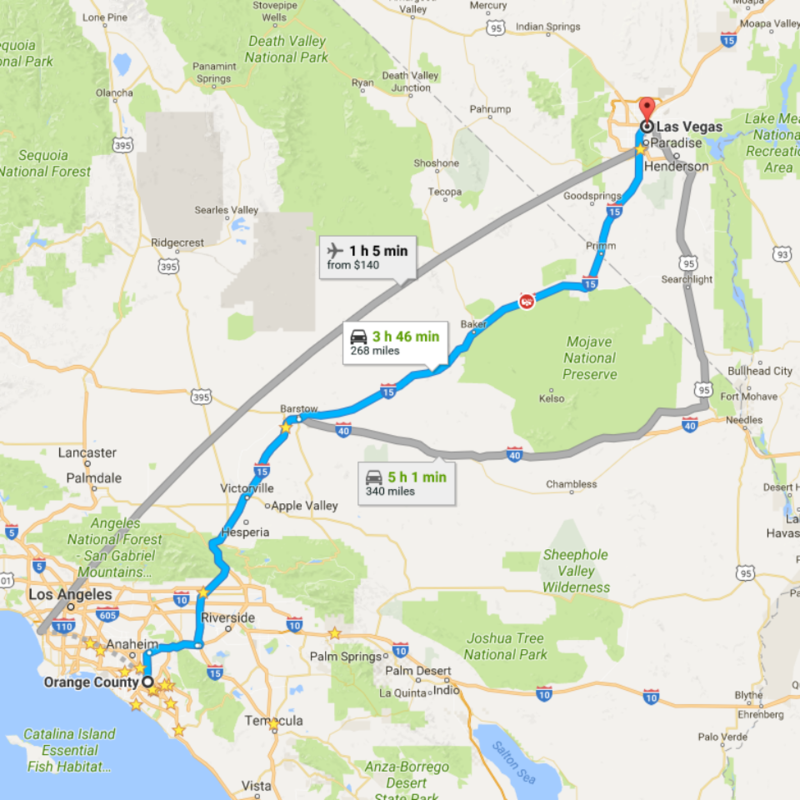 Google Maps shows it is 268 miles from Orange County to Las Vegas. In my mind, it would definitely be risky to make it on a single charge. 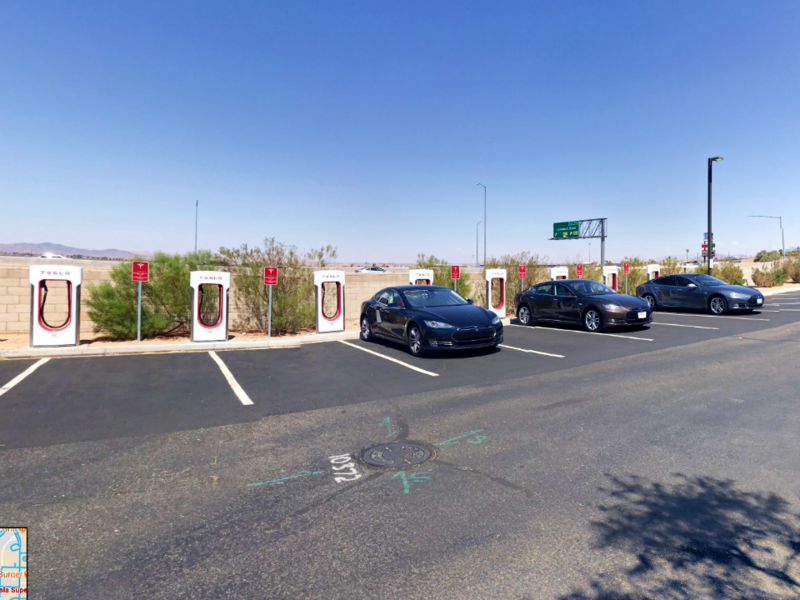 I would take the safe route and charge at the first Supercharger stop on the I-15. Well, how convenient! 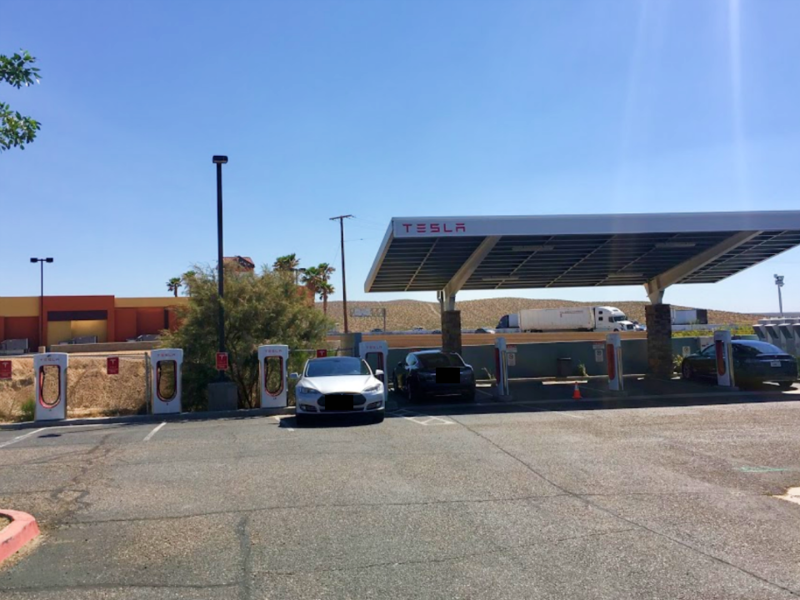 There is a Supercharger in Barstow, Califonia. 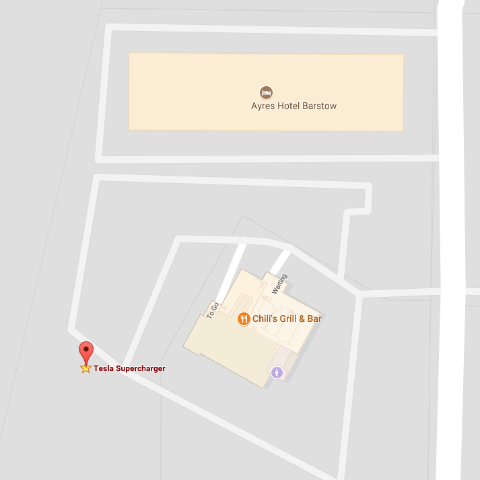 I would take the Lenwood Rd exit from I-15 and head towards the Chili’s restaurant shown in the picture above. Here are eight Superchargers on one side. There are eight Superchargers on another side. 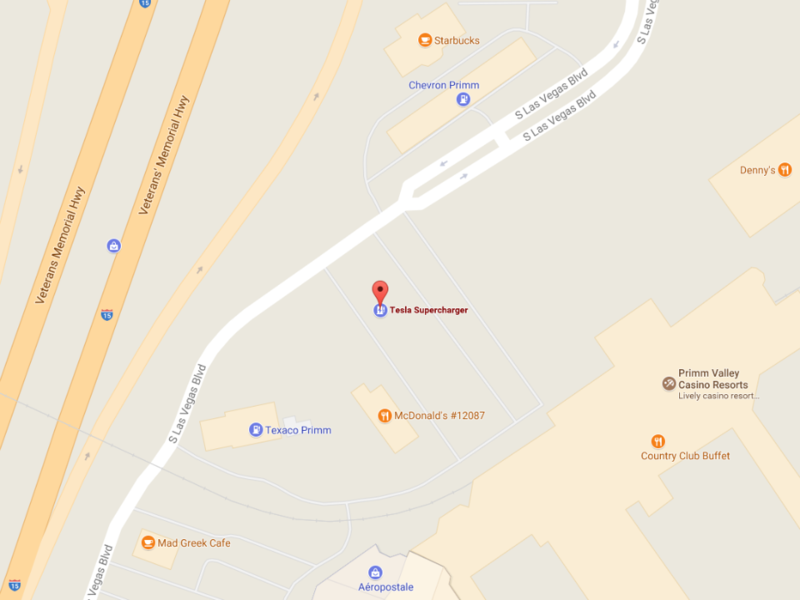 Based on Google Maps’ calculation, it will take 108 miles to get to that Barstow Supercharger. So based on Tesla’s charging estimator, it should take about 20 minutes to get back to full charge. That’s not even enough time to finish lunch! The next stop will be Primm, Nevada, which is just past the California/Nevada border. I will have used 118 miles of charging to get to this stop. I will take 25 minutes to get to full charge. 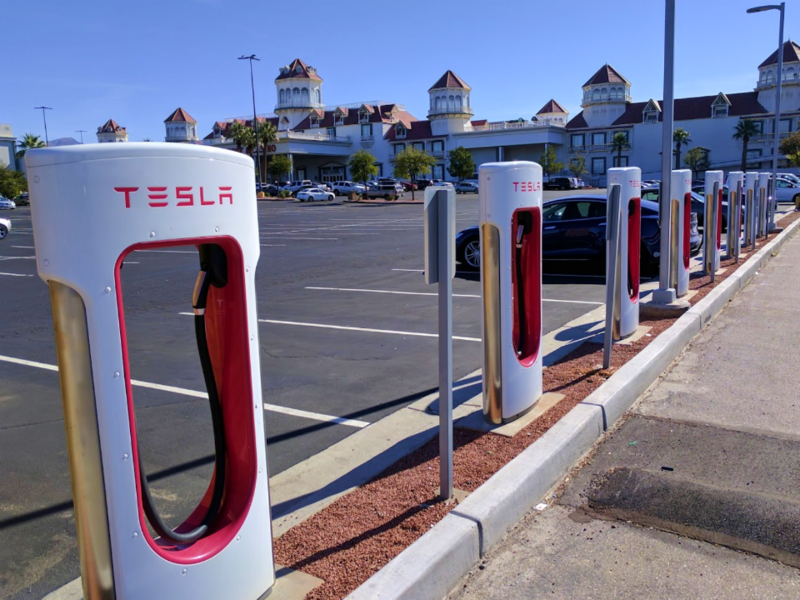 There are eight Superchargers at the Primm location. Onto the shopping outlets to pass the time! 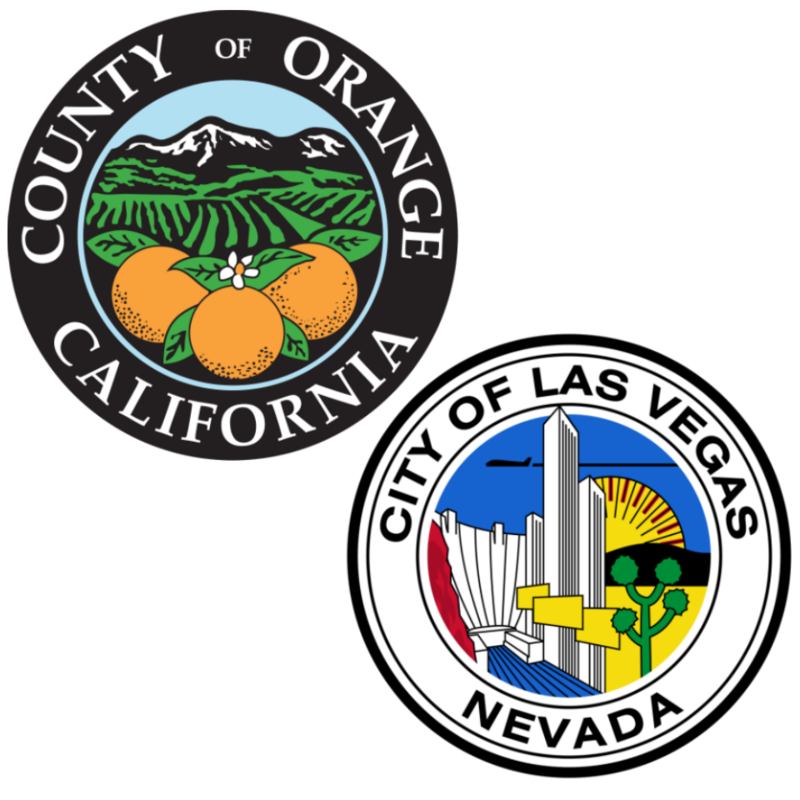 From Primm to Teddy’s favorite Las Vegas hotel, Palazzo, it will take another 40 miles. Since my estimated full-charge range on a Model 3 is 240 miles, I should have about 200 miles of range left. When I return back to Orange County, this should be enough to get back to Primm to charge. I would do a final charge at Barstow and that should be enough to get me back to Orange County.